that look beyond financial return. 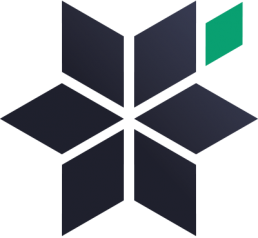 Impact investments are those that look beyond financial return. They also aim to deliver measurable social and environmental impacts with positive development outcomes. Pacific Readiness for Investment in Social Enterprise (Pacific RISE) is a pilot innovation of the Australian Government, implemented by the Department of Foreign Affairs and Trade (DFAT) established to pioneer and facilitate a social impact investment market in the Pacific. 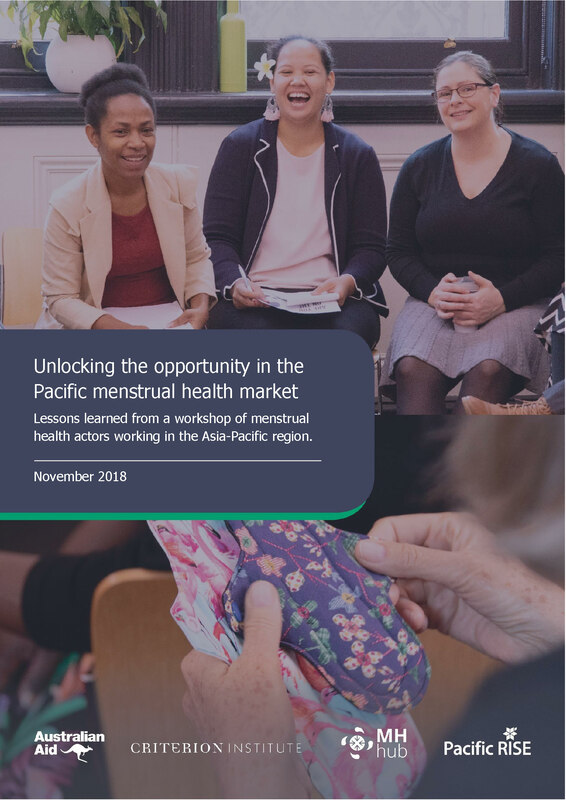 Wherever possible, Pacific RISE will promote greater investment into businesses that improve economic and social outcomes for women and girls using gender lens investing analysis tools and approaches. Initially, Pacific RISE will work with stakeholders (including investment funds and intermediaries) to learn and understand more about the Pacific and its social impact needs. Pacific RISE will then identify real investment opportunities in social enterprise businesses in the region. 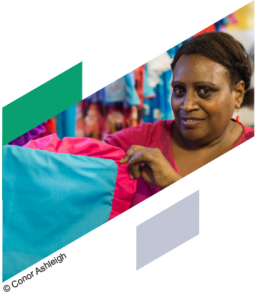 Pacific Readiness for Investment in Social Enterprise (Pacific RISE) is a pilot innovation of the Australian Government established to pioneer and facilitate a social impact investment market in the Pacific. Pacific RISE will work with investors and intermediaries to develop interest in the Pacific by identifying real investment opportunities in Pacific businesses and working with social enterprises to access investor deal-flows. Identify social enterprises that have investment potential by working through DFAT and Pacific business and development networks. Identify, assess and improve social enterprises and the impact investing network using gender lens investing principles. Fund business scoping opportunities to help build relationships with investors and intermediary networks. These opportunities will be available for investors to build relationships with Pacific social enterprises and will improve understanding, interest and access to the new Pacific market. Provide funding for technical assistance to establish and develop the skills of investible social enterprises to access funds, resulting in deal-flows between investors and Pacific enterprises. Globally, impact investment has grown rapidly; however, the industry is new to the Pacific. For impact investors, there is opportunity to break new ground and contribute to social outcomes on a larger, wider scale than previously found in other investment markets. While philanthropy and grants have been a large part of investment in the Pacific, opportunities for investment are largely untapped. Businesses regularly tackle governance, social and environmental impacts in the course of their operations and the Pacific is fertile ground for innovative ideas. There are economic reasons why investment in the Pacific is attractive. In times of global uncertainty and downgraded economic forecasts in many developed countries, several Pacific economies are predicting growth reflecting stronger than expected performance in tourism, fisheries, and construction1. The Australian Government recognises the importance of the private sector in the Pacific and the need to move relationships from being based on aid to being an economic partnership2. Improving economic outcomes requires investment in women’s economic development; therefore, the Australian Government has a strong focus on investing in businesses that improve conditions for Pacific women. The Australian Government’s aid program reflects Australia’s values and its commitment to reducing poverty and lifting living standards through sustainable economic growth. Pacific RISE is an example of the Australian Government’s new development paradigm and is piloting a new way for how Australia delivers aid. It is an innovative model that incorporates private sector partnerships that leverage finance and ideas from a range of networks to achieve social and economic development outcomes. For more information about Australia’s new development paradigm visit Australia’s aid program. Coffey International Development (Coffey) has more than forty years of business and development experience across the Pacific. 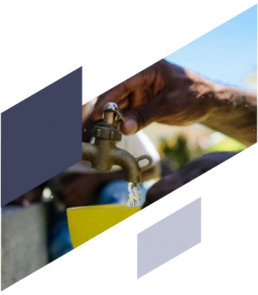 Coffey’s international development team is an implementing partner for a wide-range of the private sector, governance and other development programs for governments and organisations across the globe. Working with organisations such as Pacific Trade Invest (Australia) and Criterion Institute to deliver Pacific RISE, Coffey will access its networks and connections that it has developed after working in the Pacific for over fifty years. Coffey also has a physical presence with local teams across the region that can provide technical assistance on how to navigate the Pacific. Today, Coffey is part of a global network of Tetra Tech companies that employs 16,000 people across 400 offices. Pacific Trade Invest (PTI) Australia is a Pacific Island agency funded by the Australia Department of Foreign Affairs and Trade (DFAT). PTI Australia helps to create jobs in the Pacific Islands by facilitating trade and attracting investment into the region. PTI Australia develop and promote Pacific Island businesses in export, investment, tourism and creative industries to Australia with the aim of stimulating trade and investment. With an extensive network and a deep understanding of the Pacific Islands, PTI Australia supports private sector growth to reduce aid reliance, making long-term, sustainable improvements to the region’s economy and the livelihoods of Pacific Islanders. Pacific RISE is partnering with the Criterion Institute to fully integrate the practice of gender lens investing throughout the investment process. This strengthens the process of surfacing and analysing deals as well as ensuring that Pacific RISE delivers on its goals for improving women’s economic empowerment, with a strong emphasis on addressing gender-based violence. 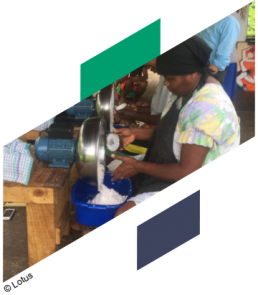 Pacific RISE leads the practice of gender lens investing within a portfolio of other DFAT investments that focus on leveraging new flows of private capital. The Pacific RISE team, its partners and other stakeholders have, and will continue to participate in forums and technical assistance exchanges to share and amplify gender lens investing approaches. 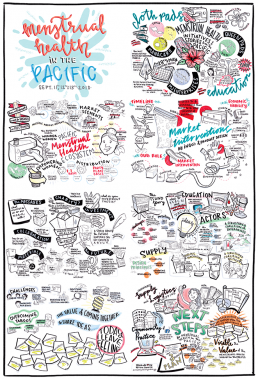 In addition, the Criterion Institute will draw on its extensive investor networks and its over 15 years as a financial think tank to design and lead Pacific RISE’s investor engagement strategy. This is a critical focus for Pacific RISE in 2018. A gender lens became a starting point for exploring new opportunities for action… The movement’s objective is to look at the entire financial and social system, not just women. Pacific RISE’s intention is to promote better economic outcomes for women and girls. Impact investing products and services often target women and girls but rarely do investors employ a gender analysis throughout the investment process. Gender lens investing goes beyond counting the number of women and girls served or working with female-led companies to creating a framework that values gender in finance. It incorporates gender analysis into the financial analysis to improve investments and promotes equitable social change through finance. Pacific RISE has partnered with the Criterion Institute3, global leaders in gender lens investing in designing an approach to create better investments in the Pacific and improve outcomes for women. 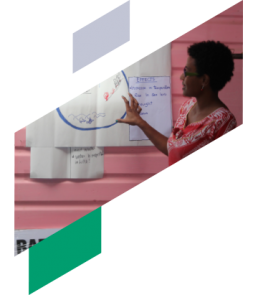 Pacific RISE is training and advising investors, intermediaries and other stakeholders on how to apply a gender lens to support and invest in Pacific social enterprises. 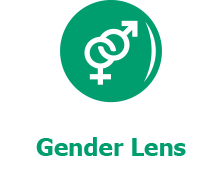 A gender lens is being applied in scoping, due diligence, investment readiness support and monitoring and evaluation. Pacific RISE, with the Criterion Institute has developed a Gender Equality Resource Tool. 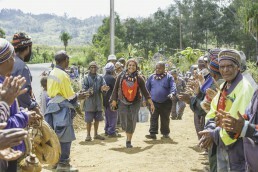 This resource will facilitate a deeper level of understanding of how gender is defined and functions in the Pacific; how it influences the lives of people of different geographies, ethnicities, socioeconomic classes and ages; and how it plays a role in determining how people of different genders are seen and treated as economic actors in the region. 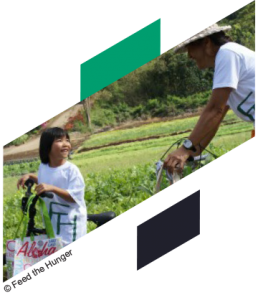 A collection of resources, the tool is organised around Pacific RISE’s Investment Thesis, the basis upon which investments into the establishment of a social impact investment ecosystem are based. Pacific RISE is using Criterion Institute’s global expertise in gender lens investing to link it into wider global opportunities to attract investors and other support from others committed to using finance as a tool to achieve gender equality. Having adopted gender lens investment practices in investment analysis for over eight years, the Criterion Institute have developed a toolkit which easily takes an investment through gender and financial analysis. The toolkit identifies how to use Gender Lens Investing to view women’s equality as an opportunity not a barrier to good investment. products and services that benefit women and girls. Women are not a niche market or investment constraint. In the Pacific, they are an emerging market with opportunity. Using gender analysis gender lens investing identifies leverage points that improve investments and social outcomes. change how investment benchmarks are measured. In the Pacific Islands, women make significant contributions to communities and economies. There is a growing recognition among governments and in the private sector that investing in women and girls has a powerful effect on productivity, efficiency and economic growth. To make good investments, the important role women in the Pacific play in businesses, and the supply chain must be better understood. Traditional financial analysis tools used in the Pacific typically miss opportunities for investment in this area. Businesses in the Pacific are often family-run initiatives, so understanding the role of women is essential for good investment. 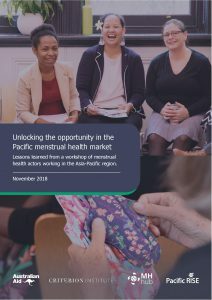 Want to know about how Pacific RISE intermediaries are applying a gender lens and uncovering new opportunities? 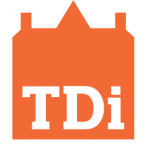 We have stories for you from two of our partner intermediaries. Read how Jessie and Michelle from Good Return are applying a gender lens and adapting their own internal company policies as a result. A core element of Pacific RISE is measuring our impacts. Once we have measured them, then we evaluate them. And – most importantly – we learn from them. 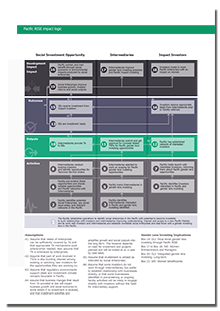 Our core document to doing that is our monitoring, evaluation and learning framework. Here are some snippets of where we are learning or showing impact. If you are a social enterprise or intermediary, please get in-touch.